What a scorcher! Middle of September and the temperature was in the early twenties. 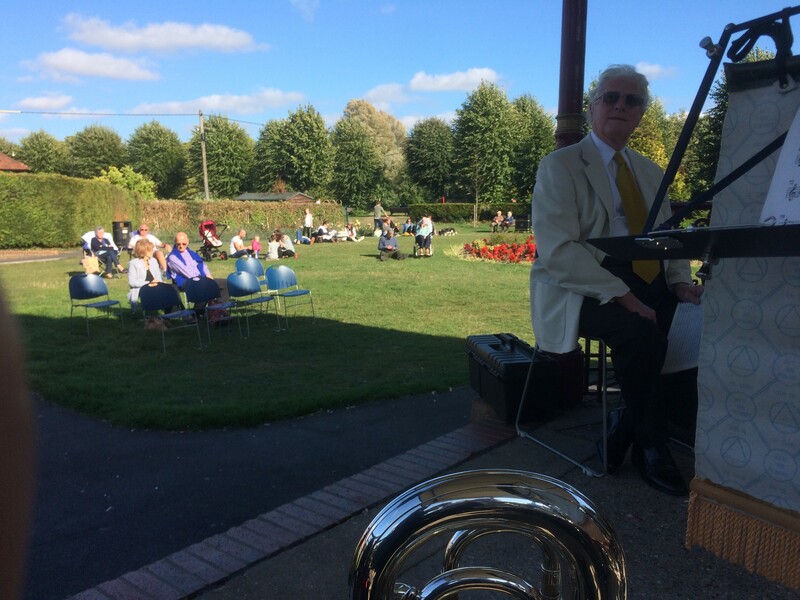 The band enjoyed entertaining the audience on a lovely sunny afternoon in Newbury with a wide selection of pieces. The band even managed to take a new band photograph, goodness knows how long we had been using the previous one! You may have spotted this as our profile picture on both this web site and the Facebook page. Sadly a few of our players were away for various reasons and so don’t appear in this new photograph. Perhaps we will try for another updated photograph at some point! Thanks again to the people who came along to help out playing for the afternoon, it is always much appreciated! Previous Previous post: First Rehearsal following the summer break!